Titan Quest is a loot-gathering dungeon crawler that was first released on PC in 2006 and was one of the main contenders up against Diablo 2. Titan Quest, and it’s expansion ‘Immortal Throne’, were both critically amazing games and ranked up there with the best of the games within the genre. Fast forward to today, Titan Quest has been released on current gen consoles, but can it hold up to its success from 2006? Disc Jam by High Horse Entertainment is best described as a pong/tennis game using a frisbee. Just like in tennis, there are 1v1 Singles and 2v2 Doubles matches. Instead of using a ball and racket, players launch a giant frisbee at each other until one player misses and concedes the goal. Strikers Edge, developed by Fun Punch Games, is basically a game of Dodgeball with weapons combined with classic arcade visuals and sound. Two or four players are put in an arena that is divided down the middle and contains barricades, which can be broken. Depending on the characters chosen, players throw swords, axes, arrows and more at their opponents to try to eliminate them. Light Tracer combines platform-style movement and unique puzzles with exceptional controls and graphic style. Using two Move controllers, players lead a princess to the top of a tower to help her save her people. One controller is used to wield a Light Staff to guide the princess and the other interacts with objects and moves the camera around the world. Players will use a combination of jumping skills, precise timing and strategic attacks to complete eight chapters with five levels each. 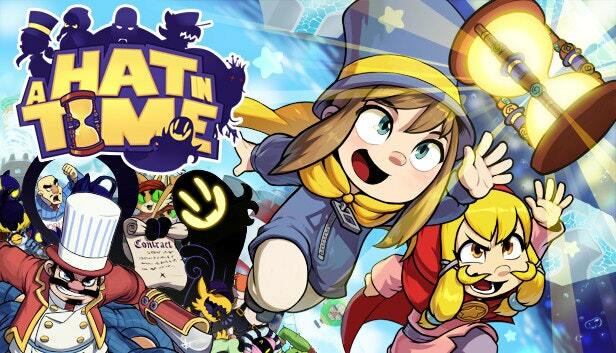 In A Hat In Time players play as Hat Girl, a top hat wearing child captaining her own ship from world to world on her own. As the game starts, you encounter a bald mafia man knocking on the outside of your windshield and demanding you pay a toll for occupying his planet’s airspace. When you refuse, he smashes the window, sending you, along with 40 hourglasses that power your ship, falling towards the planet. To make it back home, she must venture down to the surface and collect all the time she lost. Rive: Ultimate Edition is a 2D twin-stick shooter in which you play as Roughshot, a scavenger trapped in a vast, dilapidated ship from which you must escape. You’ll embark on your adventure in a Spidertank, a walking/flying hybrid ship that fittingly looks like a spider. 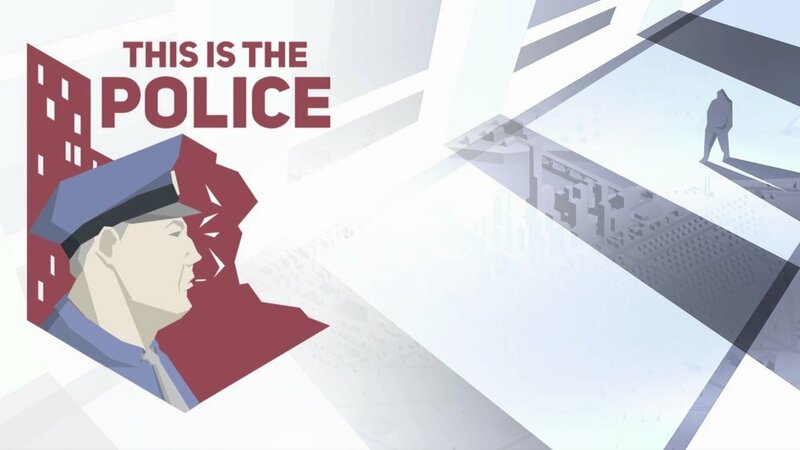 In This is the Police, you play as long-time Police Chief Jack Boyd. At the beginning of the game, Jack is given the news that the Mayor is forcing him into an early retirement. He is given 180 days until his job is finished, and he will be forced to hand it down to his successor. You begin playing at the beginning of those 180 days as you attempt to and keep your police force together for those 180 days. Slime-san is a simple, yet very difficult platformer where each single-screen level consists of four very unique stages, which constantly change in mechanics and available tools to use. Players control a green glob of slime and have less than a handful of moves to help guide him/her/it through the levels, a standard jump, a dash move and a phase move. Death Squared has a pretty straight-forward concept. You control between two and four colored cubes and have to guide each of them to their goal marker without letting any of them die. Cubes can trigger buttons that match their color, which can open paths and make changes to the level layout, and/or trigger additional hazards that may affect the path of to the other cube’s goals. Ancient Amuletor combines a first-person shooter with tower defense to bring a very under-explored genre to PlayStation VR. However, in most tower defense games, players build and upgrade their towers and defenses to protect their towers from waves of intruding enemies. In Ancient Amuletor, the only goal for the player is to protect their tower, which in this game are big blue crystals spread out through the map. Puyo Puyo Tetris is a four-player puzzler mashup that launches April 25 for $39.99 on the Nintendo Switch. It combines the classic falling-block action of Tetris with the bean-matching gameplay of Puyo Puyo, which is similar to Kirby’s Avalanche. These games are mixed in a variety of ways, depending on the game mode you choose, but publisher Sega has found a way to do just about every possible combination. Having never played a Digimon game, I figured this game would be a Pokemon-type knock-off. Boy was I wrong! Digimon Story: Cyber Sleuth is set in the near future where a next-generation virtual-reality version of the internet named EDEN dominates. Pixel Heroes: Byte & Magic by developer Bitfather is a turn-based action game that reminds me of a mix between the original Dragon Warrior and Oregon Trail. It succeeds in satisfying nostalgic yearnings but still leaves a few things to be desired. In Toby: The Secret Mine, developed by Lukas Navratil and published by Headup Games players control Toby, who races through levels and solves puzzles in an attempt to save his friends that have been held captive by a mysterious species. Unfortunately, players will do little more over the course of this 2D puzzle-platformer than solve puzzles and execute simple platforming segments. Rise and Shine is a side-scrolling platformer/action game, published by Adult Swim Games, with a comic book art style and (sometimes) brutal gameplay. Players play as Rise, a little guy who’s thrown into a war between humans and aliens on his home planet of Gamearth. Small Radios Big Televisions, developed by Fire Face and published by Adult Swim Games, is an adventure puzzler that takes place in a series of buildings, each with multiple doors to alternate areas that only become apparent through exploration. Spareware on Xbox One, developed by Rusto Games, is a twin-stick shooter with light RPG mechanics with player leveling, skill trees and a unique cell management system. At first glance you might assume you just try to survive as long as possible against hordes of enemies. While you wouldn’t be completely wrong, you’d be overlooking the surprising amount of depth to the game. With 4 player local multiplayer, it becomes even more fun, just try to avoid shooting your fellow comrades. Mutant Mudds: Super Challenge is a retro-style action-platformer developed by Renegade Kid. I haven’t had a chance to play the previous Mutant Mudd game, so keep that in mind. The story, as well as most other features of the game, is fairly minimal. Players play as Max and Max receives special intel, revealing the location of the original meteor impact site and the fact that mutant mudds are still being spawned from it. Max sets out from a secret hideout in the jungle to locate the meteor and destroy it for good. In The Magic Circle, you are the hero of an unfinished fantasy game. You have all of the powers the developers of this game have, including the ability to trap their creations and reprogram their behaviors and swap their body parts. This allows you to uniquely solve puzzles and make your way through the game, ultimately finishing and “releasing” it, being as creative as you want.